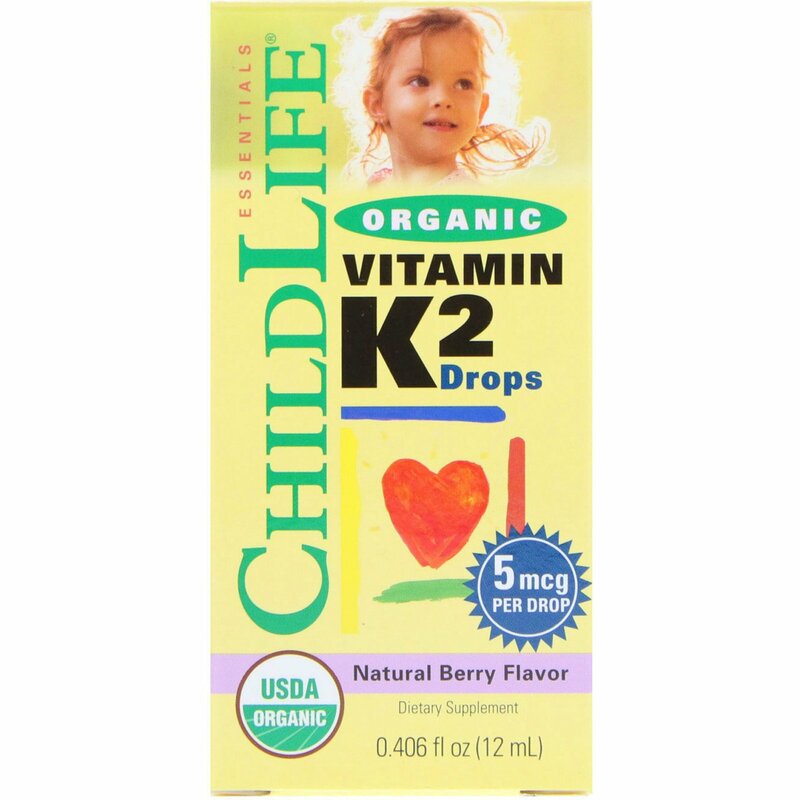 Health Tip: ChildLife Vitamin K2 is certified organic and has been formulated with Mena Q7, a natural, highly bioavailable form of Vitamin K2. 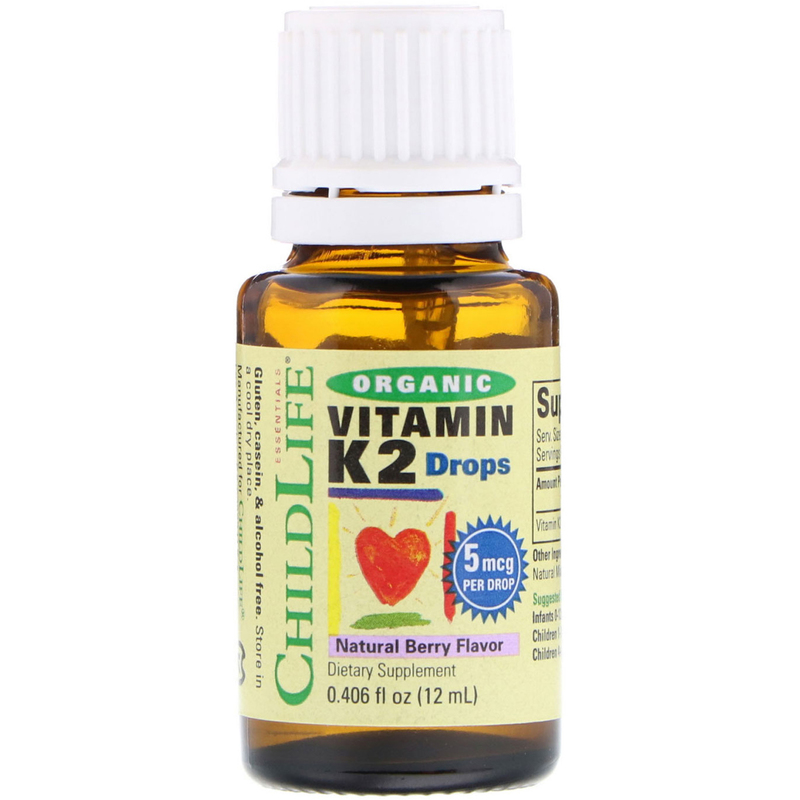 Higher levels of Vitamin K2 in children may support better bone mass, density, geometry, and mineral content, providing your child with a solid foundation for health and development. ChildLife Vitamin K2 is certified organic with all natural ingredients and a great tasting natural berry flavor. 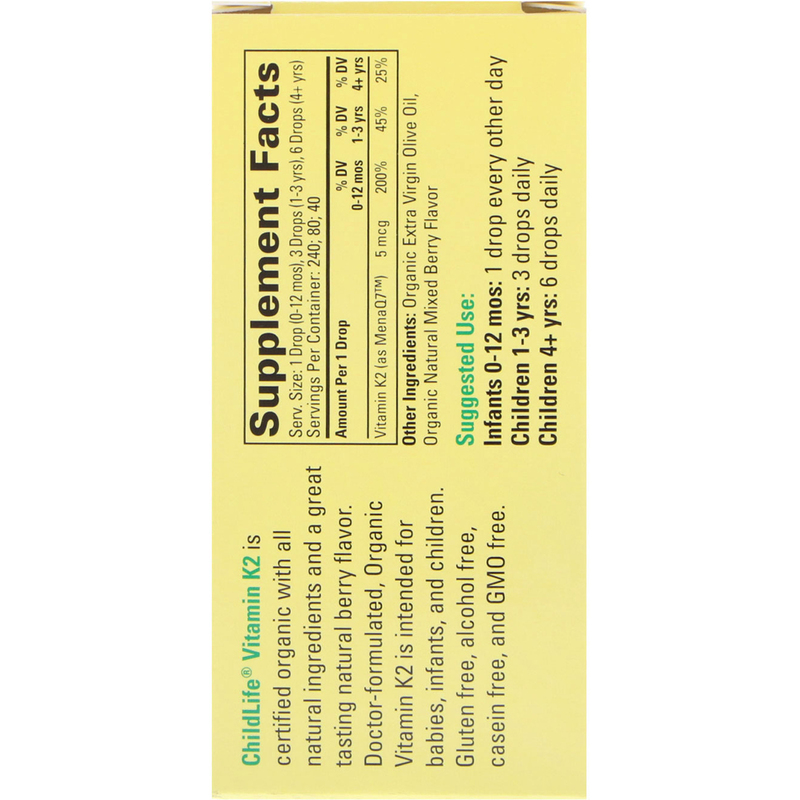 Doctor-formulated, Organic Vitamin K2 is intended for babies, infants, and children. Remove white cap from bottle. Tap bottom of bottle lightly with index finger to dispense drop. 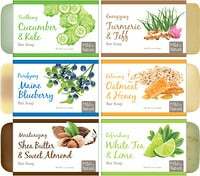 Organic extra virgin olive oil, organic natural mixed berry flavor. Gluten free, alcohol free, casein free, and GMO free.